Weight gain, obesity, diabetes, heart disease, liver damage, and belly-bloating inflammation are just a few of the not-so-fun consequences of sugar. If you find going cold turkey and ditching sugar for good a little too difficult, you're not alone. Sugar is addicting, believe me (or the scientists). Once you take a bite or a sip of the sweet taste, it's hard to stop! But some of us (myself included) still want a little sweet treat now and then. I have good news for you! You can still enjoy your sweet treats with a few better-for-you alternatives to sugar. Some of these smart swaps even have a few healthy benefits too! And remember, your health is your health, so decide what works best for you! Stevia comes from therebaudiana leaf native to South America. Stevia is über sweet, nearly 300 times sweeter than sugar. Despite it's sweetness, stevia won’t impact your insulin or blood glucose. Stevia is one of my favorites. Real fruit is always a great option! Berries are amazing and full of health-promoting antioxidants while not being overly sweet. Bananas, dates, and apples can also add ample sweetness to shakes or baked goods in addition to all of their health-promoting benefits. When fruit and stevia just won't do, I use maple syrup. I'm not talking about the high-fructose varieties but real maple syrup. Real maple syrup has the benefits of manganese and iron. Don't get too excited though, it's still sugar. 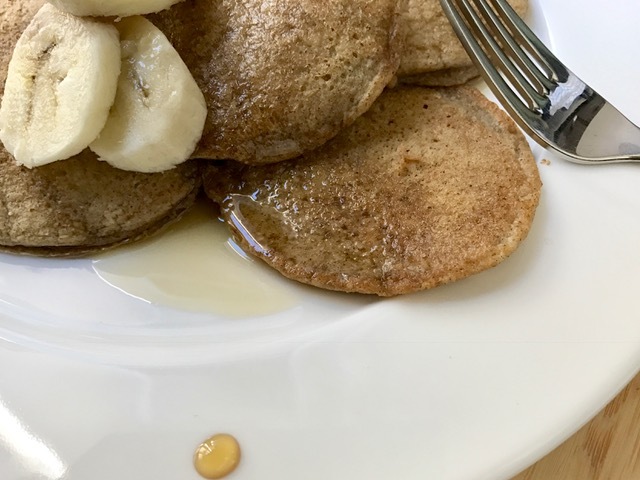 This sugary syrup will still affect your insulin levels... but what are Sunday morning pancakes without a little real maple syrup? Coconut sugar is basically a fancy version of sugar, with a few healthy nutrients thrown in like B vitamins, magnesium, potassium, iron, and zinc. Again, it's still sugar. Sugars, the way we traditionally define them, have six carbons. Xylitol has only five, and that single carbon makes a world of difference in the way you metabolize xylitol. Xylitol is a sugar I've recently experimented with (hence the innovation aspect to Welli), and does not spike insulin and hardly affects your blood sugar levels. Bonus, this sweetener is dentist approved! Xylitol actually helps to prevent plaque and tooth decay by stopping the growth of bad bacteria on your teeth. Your pearly whites will thank you and your tastebuds won't know the difference between xylitol and sugar because the tastes are the same. Look for non-GMO xylitol from birchwood (versus corn). When it comes to baking, xylitol can basically be swapped cup for cup with sugar. Of course that doesn't mean you can now eat the whole tray of cookies in one sitting by yourself. Indigestion can be an unpleasant side-affect if you start gobbling it down! *Don't feed xylitol to your pets! They're stomachs are different from ours! Honey contains loads of vitamins, minerals, enzymes. These health benefits can actually stave off the normal blood sugar spikes that come along with most sugars. Look for local, unrefined, raw honey because when honey is cooked, it loses the majority of its potential health benefits. Older PostYou Can't "Beet" These Doughnuts!